This is my old blog, before our facebook page was created.... I just can't bare to delete it!!!!! 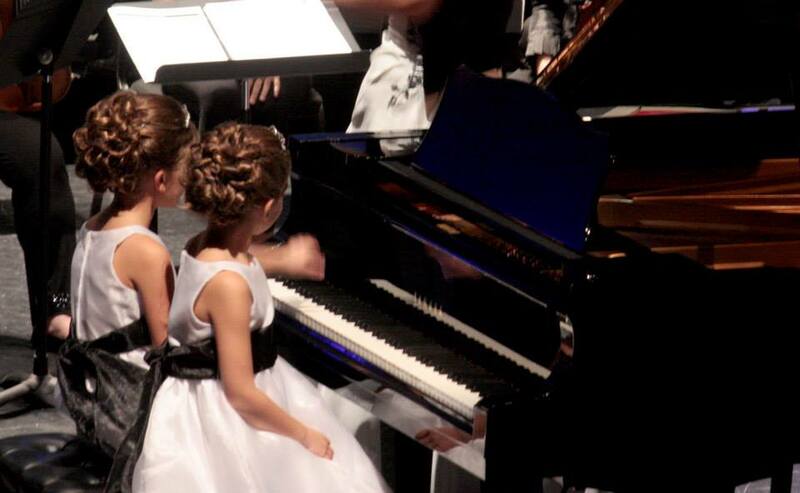 2014 Tiny Tinkles students are the youngest to win opportunity to perform with the Chilliwack Symphony Orchestra. Check out Cornelius' AMAZING performance here!!! Check out the links to see how we wrote our music and our winning entry! Special thanks to ShawTV Chilliwack for all of their help! Stay tuned for new links with the award presentation from the Honourable Judith Guichon, Lieutenant Governer of BC! What an amazing opportunity to be featured on our local Shaw TV channel! Special thanks to Miss Chelsea and Mr. Cornelius for being such enthusiastic performers in front of the cameras! 2011 Tiny Tinkles Student Chosen to Play with CSO! Seven year old Danaeya auditioned and was selected by a panel of judges from the Chilliwack Symphony Orchestra and the CHWK Branch of Registered Music Teachers to be one of eleven performers to play with the ochestra at the Piano Extravaganza! Danaeya has only been taking lessons for just over 1 year! What an accomplishment! earn together & practice together with your homeschooler in a group setting. Play duets or jam with a CD. You will have fun with your child in this class! I call this program “Rainbow Recorders”. Quite obviously, this is not a new idea to the world – Recorders have been taught in schools for probably 50 yrs. The point is, many families in Chilliwack have decided to home school but don’t feel comfortable to teach fine arts, especially music. The recorder is an amazing instrument! Students learn how to read the most basic of notes and rhythms in a very methodical way. Everything learned is step by step – it is easy to master learning the soprano recorder. So many enjoyable pieces can be played on it. In a world where everything is turning to being technology based, playing the recorder is a great “hands-on” way to increase confidence in a child’s learning ability. The skills of note reading are learned and without even a thought, ear-training and sight-singing skills are introduced. All of these principles can easily be transferred to any instrument and will establish a better understanding of how to express oneself musically. A parent who learns to play an instrument with their child will find it to be a genuinely connecting experience. The child will enjoy and appreciate seeing that everyone needs practice and that it is OK to make mistakes! Another program that I offer is the “Music For Little Mozarts Classroom Method”. It is a group class for preschoolers ages 3-5 that runs for a 10 week session with weekly classes that are approximately 45-60 minutes long. There are 3 levels in the Music for Little Mozart Program. After completing all 3 levels, students are ready to move to Private Lessons on the piano or other instruments if they wish. The course serves as an introduction to the basics of music and introduces all concepts in a comfortable atmosphere. Sessions 1 and 2 will be offered in January, and in March, Sessions 1, 2, and 3 will also be available. The “Little Mozart” program is an exciting group class that develops general musicianship skills through listening, singing, playing basic percussion instruments, playing music turn taking games, and structured movement. Each lesson is consecutive and new skills are learned and expanded on. The stories, coloring, and craft activities make it fun for the little ones to learn. Each Level ends with a Music Party and a Recital! This program presents an excellent opportunity for parents to be involved in their child’s creative development. My First Piano Adventure is an exciting piano program for 5-6 yr olds. Capture your child’s creative spirit and imagination! A General Music Program in a group setting that introduces your preschooler (3-4) to beginning musical concepts to pre-pare them for private lessons. Sing, Dance, and Play with percussive instruments. Imagine a group recorder class that you and your children take together! Learn the Soprano Recorder from the beginning. How to play and read all the notes, jam with a fully band mixed CD, and enjoy performing duets together. Earn Ribbons as each section is mastered. Submit the Report Card at the completion of class to your home school to receive credit for learning. njoy a group class with your child (children) small groups of 4-6 students weekly. Singing, listening, hands-on activities, and movement! Lessons are grouped in 10 week sessions and the cost is $15 per lesson (approx 45-60 min. in length) plus a $25 registration & a $25 supply fee. This is a generalized music program that does not require you to have a piano at home. Fee includes: two stuffed animals (which must be brought to each class, a music workbook, laminated writeable/erasable staff board with a pen, music CD for at home practice, online subscription to www.musiclearningcommunity.com, and a music bag to put everything in. A Discount is available for families with more than 1 child registering. At the end of each session, students will receive a certificate and participate in a Tiny Tinkles Studio Recital! This program has three levels! Level One will be offered at all September Sessions, select January sessions will offer Levels One and Two, select April sessions will offer Levels One, Two and Three. Each lesson follows a structured format much like a preschool class - we start with our hello song, then move on to a review of material covered from previous lessons, then on to story time when new ideas and concepts are introduced. The introduction of new songs follows and children have to opportunity to experiment with sounds and rhythms by using percussion and rhythm instruments while singing and moving to the music. Each class is consecutive and builds on from the previous lesson so new musical material is constantly being introduced and expanded on. A coloring or craft activity precedes our ending of the lesson where we sing our Goodbye song . Turn taking, imitating, structured movement, and manipulative art re-enforce everything that is covered in each of the lessons. This type of approach to learning makes the Music for Little Mozarts program an enjoyable experience for both the parents and the children! Registration will end September 23rd! her to become an innovative teacher in the Fraser Valley. 2010 Tiny Tinkles Receives Recognition! from having clear and concise practice routines. kids” to Stepping Stones (Five note Pentascale – C D E F G ). make mistakes too! Nobody is perfect – Practice makes perfect! high notes. Try experimenting by playing hot potato style – staccato! ideas that will work best for you and your child. proud of themselves and not overwhelmed. at the end – they will be so thrilled they are able to play “fancy” scales! Scales – who would’ve thought something so easy could be so much fun??? young performers and many other learning resources.